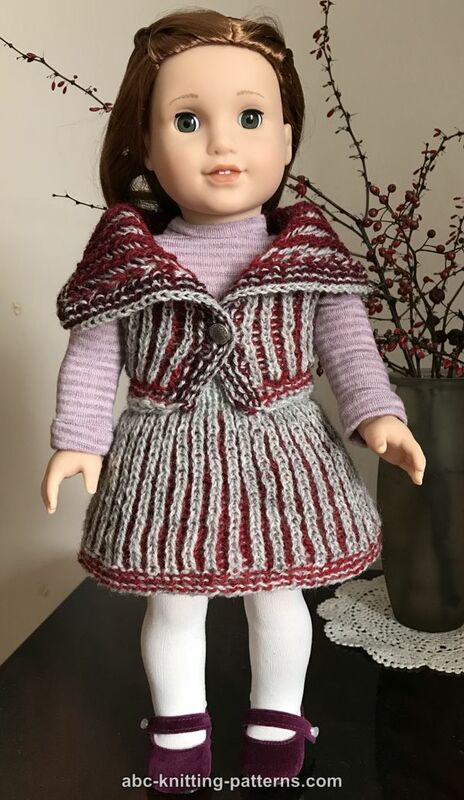 I'm bringing brioche stitch to your American Girl Doll! 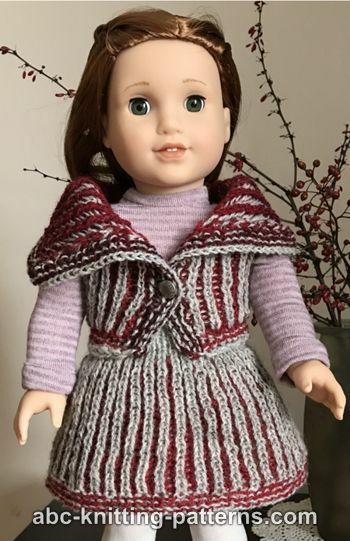 The set consists of a skirt and a vest. 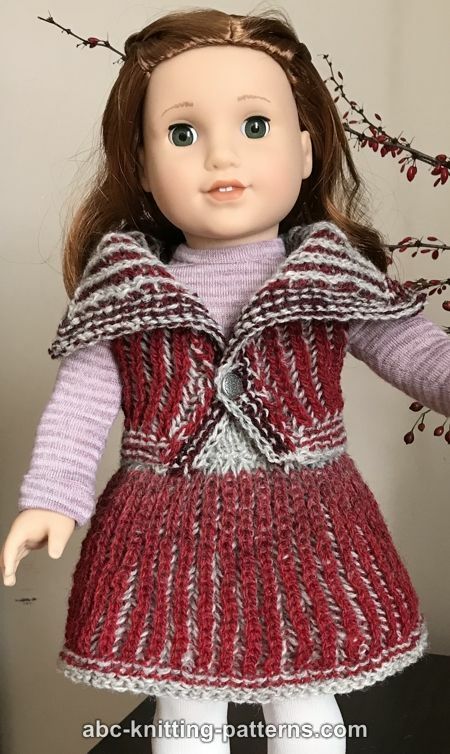 2-color brioche means that both items are reversible! 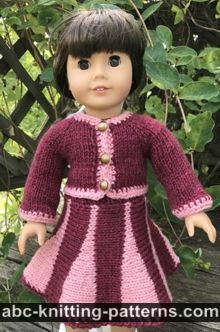 The skirt is worked from the top down: the waist is worked in stockinette stitch back and forth, the skirt itself is worked in two-color brioche in-the-round. 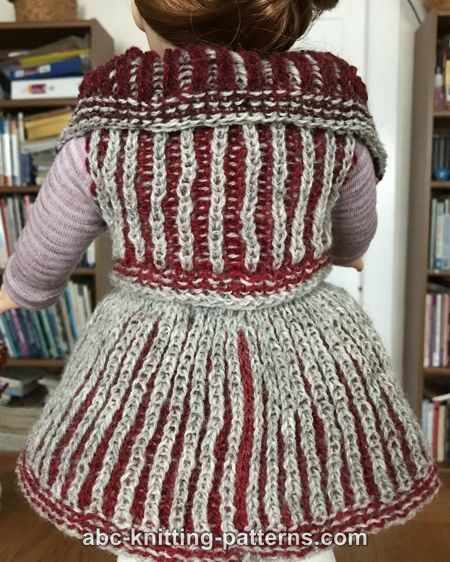 The vest is worked in two-color brioche back and forth. Notions: stitch markers, 2 stitch holders, 10 1/2" long piece of 1/4" wide elastic, sewing thread matching the color of the yarn, sewing needle, two ½” buttons. Please note that I use Nancy Marchant's terminology for brioche stitch. I highly recommend her books Knitting Brioche: The Essential Guide to the Brioche Stitch and Knitting Fresh Brioche: Creating Two-Color Twists & Turns, as well as her lessons on craftsy.com. 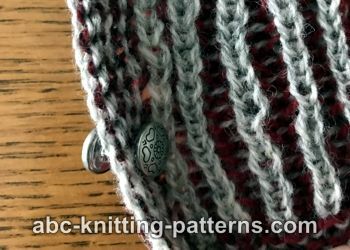 Make a backward loop over the right-hand needle and in the next row purl as a regular stitch. See picture here. as est. - as established, work as the pattern demands. Please note that one brioche round consists of 2 rounds, one worked in LC and the other in DC. Set up round (LC): *k1, yfsl1yo, repeat from * to the end of the round. Bring the LC yarn forward and leave it hanging in front of the work. Set up round (DC): yf, *sl1yof, brp1, repeat from * to the end of the round. Bring the DC yarn back. 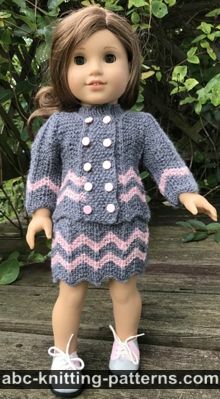 Please note that since the garter stitches are worked alongside the brioche stripes, each round is worked in both LC and DC, similar to brioche rounds. These are included as a guide to the technique, and as instructions for swatching. With LC cast on 50 sts. The 1st and the last stitch are selvedge/edge stitches. Row 1 (WS): sl 1, p49. =50 sts. Row 2 (RS ) : sl 1, k 48, p1. Row 7 (WS): sl 1, k 48, p1. Row 8 (RS): sl 1, k 48, p1. Repeat rows 8-9 two more times. Row 14 (RS): sl1, *m1, k1, from * repeat to the last stitch, m1, k1, m1, join to the beginning of the row and continue to work in rounds. = 100 sts. Repeat round 1 (LC and DC) 20 more times or to desired length. Repeat round 22 (LC and DC) two more times. 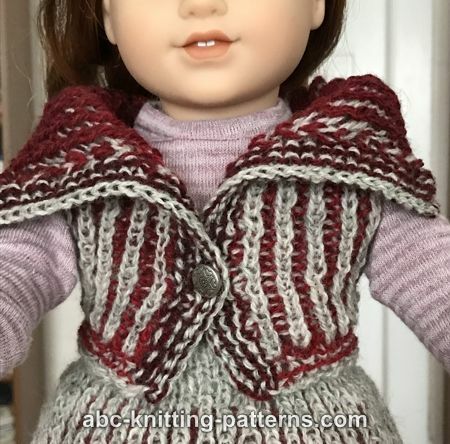 The vest is worked in two-color brioche. 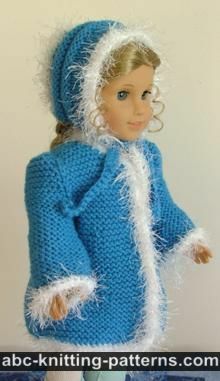 The vest is worked from the bottom up, back and forth, as one piece up to the armholes. At the armholes, the piece is divided into 3 parts: 2 fronts and a back, which are worked separately to the shoulder line. 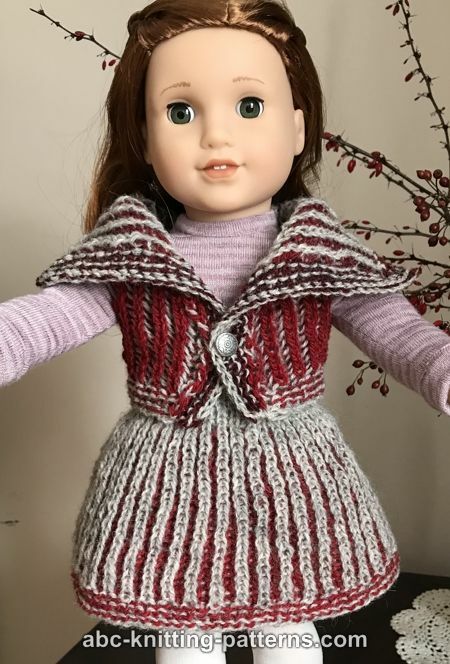 After that, all parts are connected and the vest's collar is worked as one piece. 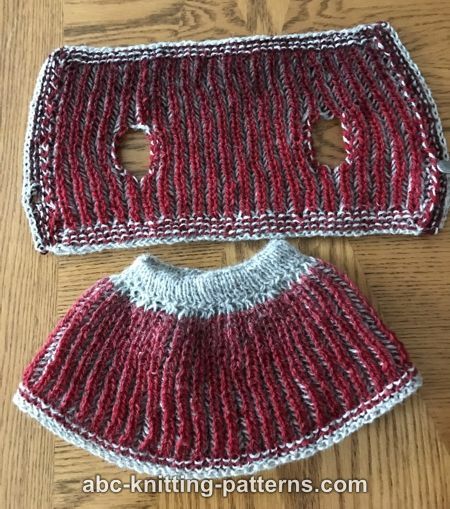 The bottom and the top of the vest are worked in two-color garter stitch. 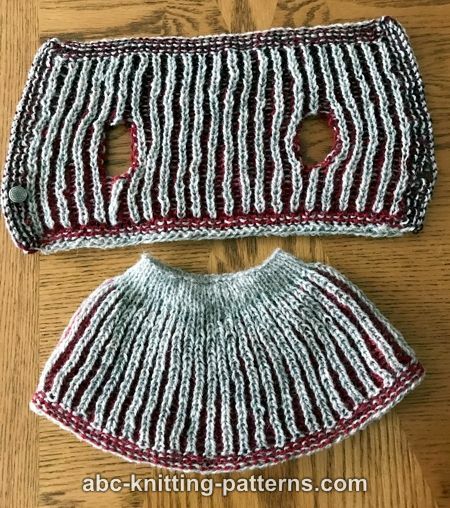 The button bands are worked in two-color garter stitch after the body is done. With LC cast on 47 sts. The 1st and the last sts are selvedge/edge sts. Row 1 (LS LC): Beginning of the row: bring LC under DC, sl 1; k45, p 1. Do not turn, slide work to the other end of the needle. Row 1 (LS DC): Beginning of the row: sl 1, k45, p 1. Turn. Row 2 (DS LC): Beginning of the row: bring LC under DC, sl 1; k45, p 1. Do not turn, slide work to the other end of the needle. Row 2 (DS DC): Beginning of the row: sl 1, k45, p 1. Turn. Row 7 (LS, LC): sl1, k1, *yfsl1yo, k1, repeat from * to last st, p1. Do not turn, slide work to the other end of the needle. Row 7 (LS, DC): sl1, sl1yof, *brp1, sl1yof, repeat from * to last st, p1. Turn. Row 8 (DS, LC): sl1, brp1, *sl1yof, brp1, repeat from * to last st, p1. DO not turn, slide work to the other end of the needle. Row 8 (DS, DC): sl1, yfsl1yo, *brk1, yfsl1yo, repeat from * to last st, p1. Turn. Row 9 (LS, LC): sl1, brk1, *yfsl1yo, brk1, repeat from * to last st, p1. Do not turn, slide work to the other end of the needle. Row 9 (LS, DC): sl1, sl1yof, *brp1, sl1yof, repeat from * to last st, p1. Turn. Repeat rows 9-10 three more times. Continue to work two-color brioche stitch. Row 17 (LS, LC): sl1, brk1, *yfsl1yo, brk1, repeat from * to last st, p1. Do not turn, slide work to the other end of the needle. Row 17 (LS, DC): sl1, sl1yof, *brp1, sl1yof, repeat from * three more times, p2tog, pm, *brp1, sl1yof, repeat from * ten more times, p2tog, pm, *brp1, sl1yof, repeat from * four more times, p1. Turn. We divided our work for the fronts and the back. Continue to work each part separately: first, work the left front, then work the back and, finally, the right front. Rows 18-28: work two-color brioche st as est. over 11 sts. Transfer sts to an additional needle / stitch holder. Rows 18-28: work two-color brioche st as est. over 11 sts. Rows 29-42: work as est. Rows 43-48: work two-color garter st.
Pu&k 33 sts along the center of the left front and work 6 rows of 2-color garter sts. Bind off. Pu&k 33 sts along the center of the right front and work 6 rows of 2-color garter sts. In row 3, to make a button hole: sl1, p6, p2tog, yo, purl to the end of the row. Weave in yarn ends. Block. 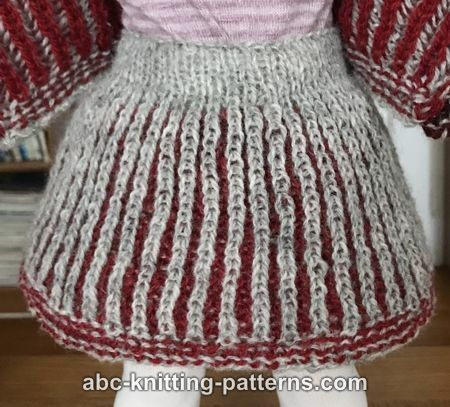 Skirt: fold the belt along the purl row and sew its edge along the last row of the stockinette stitch, leaving 1” open. Insert the elastic, sew its ends together, sew the belt opening close. Vest: sew a button on both sides of the vest to make it reversible.